Concord Foods celebrates its 50th anniversary this year with new products, branding, and innovation. What started as a solution to filling the need for multi-use lemon and lime juice in the fresh produce department has now blossomed to a full-range supplier of all-natural products that offer people flavorful, fresh food experiences. In 1968, Jeff Neville embarked on his vision of selling plastic shaped lemons and limes filled with juice in the produce department – which at the time, was only selling fresh fruits and vegetables. 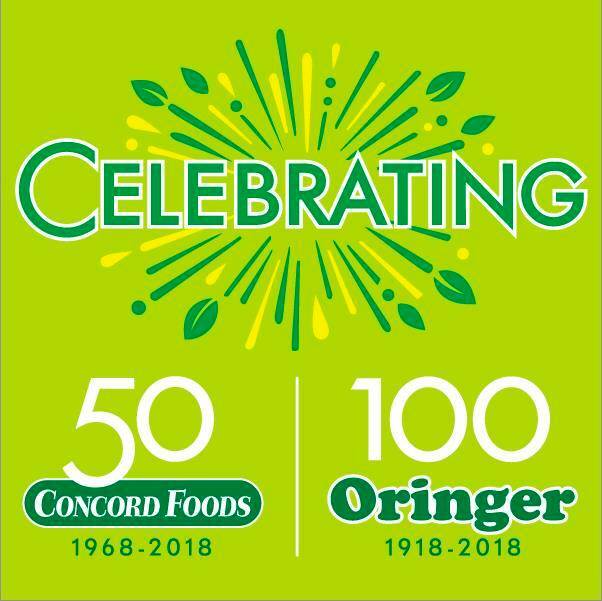 Fifty years later, Concord Foods now offers seasoning and smoothie packets using no preservatives, all-natural chocolate and caramel dips, crispy vegetable snacks and fresh squeezed juice to accommodate busy shoppers looking to bring nutritious and flavorful meals to their families. Today, Concord Foods has more than 70 products with national distribution and can be found in the fresh produce department as each item requires the use of fresh fruits and vegetables. From organic caramel and chocolate dips to all-natural seasoning and smoothie mixes, Concord Foods is dedicated to improving its technology to ensure its providing high-quality products to its consumers. Additionally, the brand continues to invest in equipment to streamline processes and keep manufacturing costs low. To find out what new products are on the horizon for Concords Foods, please visit http://www.concordfoods.com/ or Concord Fresh Success at https://concordfreshsuccess.com/. Also, be sure to connect with the brand on Facebook, Twitter, and Instagram.